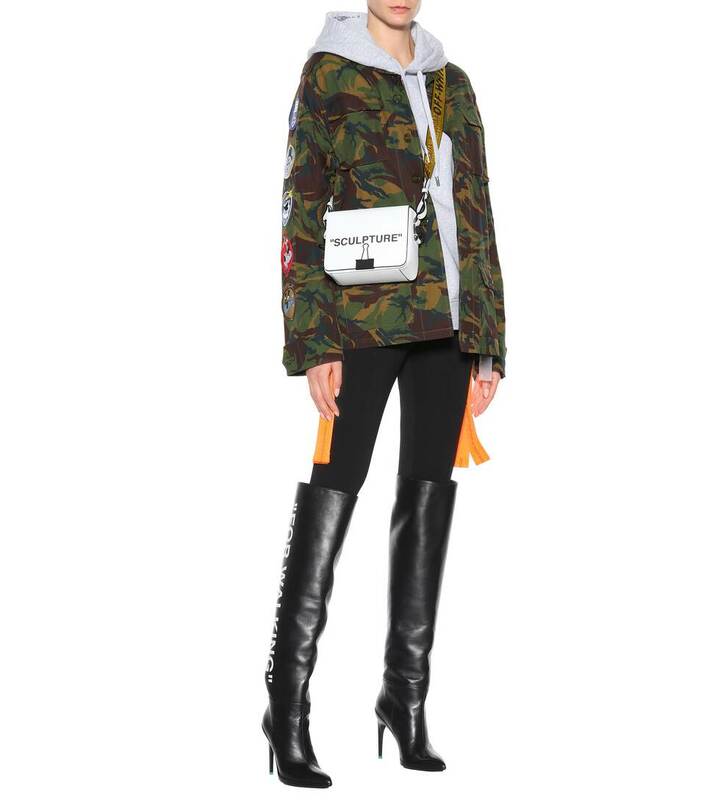 Pack sartorial punch this season with Off-White's pointed-toe over-the-knee boots. 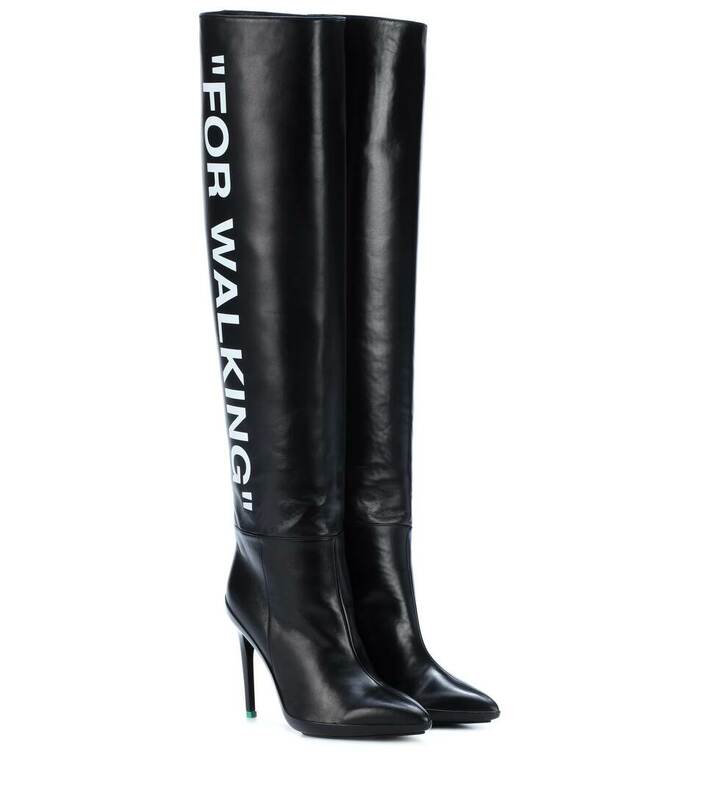 Crafted in Italy from smooth black leather, this design feature's the label's signature tongue-in-cheek branding as "FOR WALKING" is emblazoned in white lettering down the leg. The stiletto heel finishes the look on a sharp note.